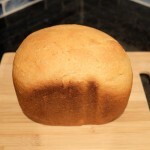 I have two more white whole wheat bread machine recipes to share today: a brown bread and a white bread. 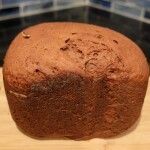 The brown bread is a pumpernickel bread based on one I found on the back of a bag of Arrowhead Mills Organic Rye Flour. The brown color comes from using cocoa powder. Most of us in my house liked the original recipe pretty well, with it’s nice tangy flavor. 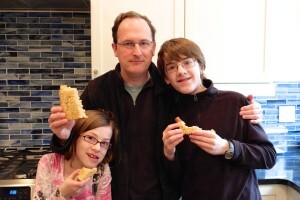 But some in my house are partial to sweeter breads, and liked it better when I used honey instead of molasses. One lone holdout does not like caraway seeds at all and would not eat it until I made the recipe with flax seeds instead of caraway. Sesame seeds would probably be nice too, or you could leave out all the seeds. 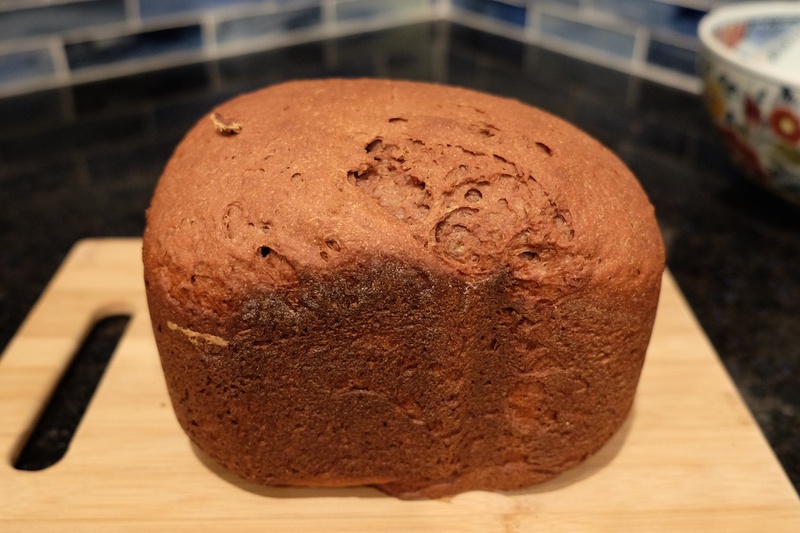 Download the recipe for Whole Wheat Pumpernickel Bread here. The white bread is an oatmeal honey bread. This is a basic bread that is simple, but really tasty. I add dry milk for some extra protein and a slightly softer texture, but you can omit the dry milk for a non-dairy version that isn’t much different. Download the recipe for Whole Wheat Oatmeal Bread here. White whole wheat flour has all the health benefits of regular whole wheat flour, but it is made from a different kind of wheat that is softer and has a milder taste. While regular white flour has little nutritional value, white whole wheat flour is actually good for you! When white whole wheat flour started showing up in stores about 10 years ago, I was intrigued. I followed everyone’s advice and started swapping out a third or a half the white flour for white whole wheat to add whole grains to my baked goods. Nobody in my house seemed to notice. 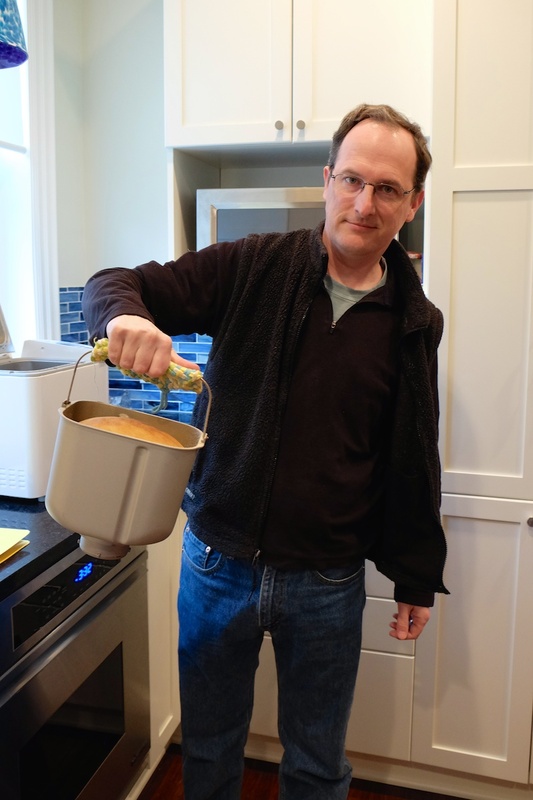 Tentatively, I started increasing the whole grain to white flour ratio, and nobody seemed to notice. 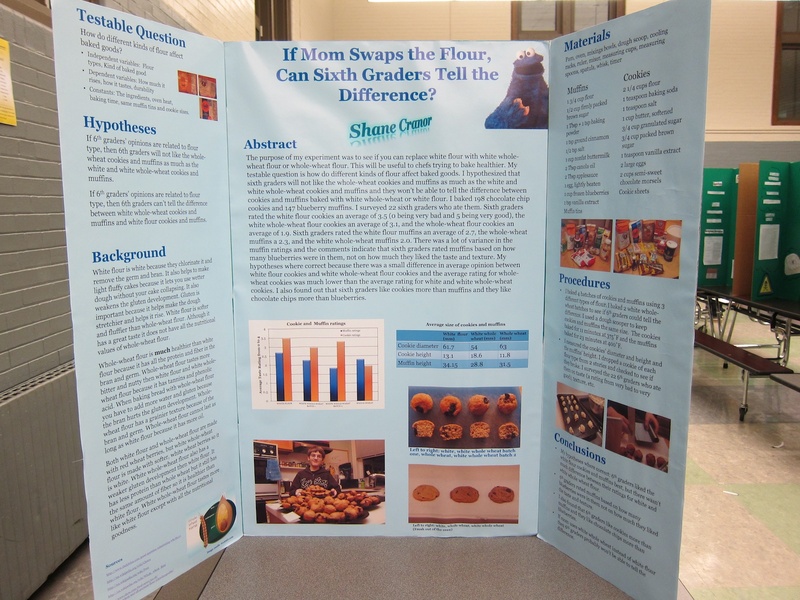 Thanks to my son’s award-winning sixth grade science fair project I gathered conclusive, scientific evidence that swapping out all the white flour for whole wheat in chocolate chip cookies and in blueberry muffins makes no difference to a classroom full of hungry sixth graders. 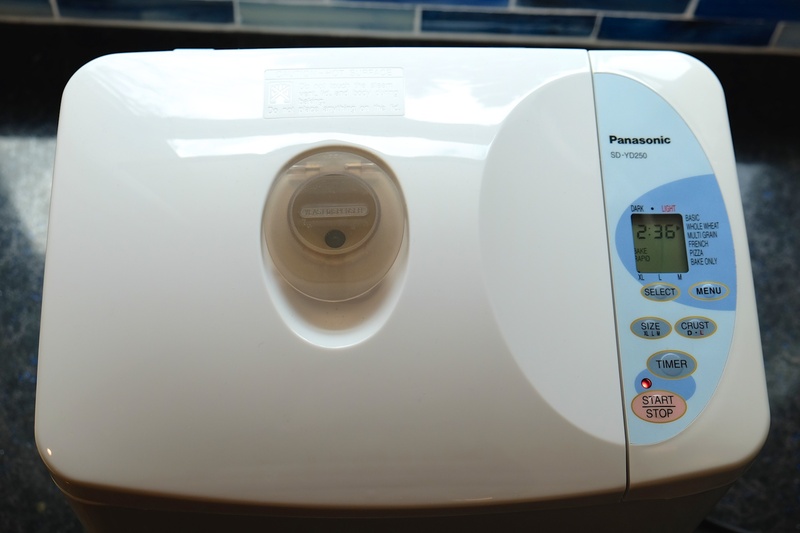 In January I decided to replace my family’s still functional, 20-year-old bread machine with a more modern model. It turns out that the era of bread machine baking has come and gone, and most bread machine manufacturers have not come out with any new models in years. So the Panasonic SD-YD250 we bought is actually the top model of the last decade, but it remains the #1 top seller on Amazon.com. And the new machine turns out to be a big step up from the machine it replaced because it has a bigger pan, warms the ingredients, and doesn’t add the yeast until it is time. 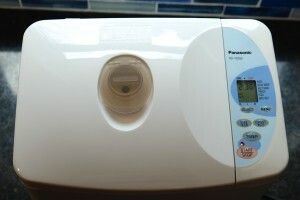 Since acquiring the new machine, I have baked bread 2 or 3 times a week, every week. And I have baked only 100% whole grain bread. 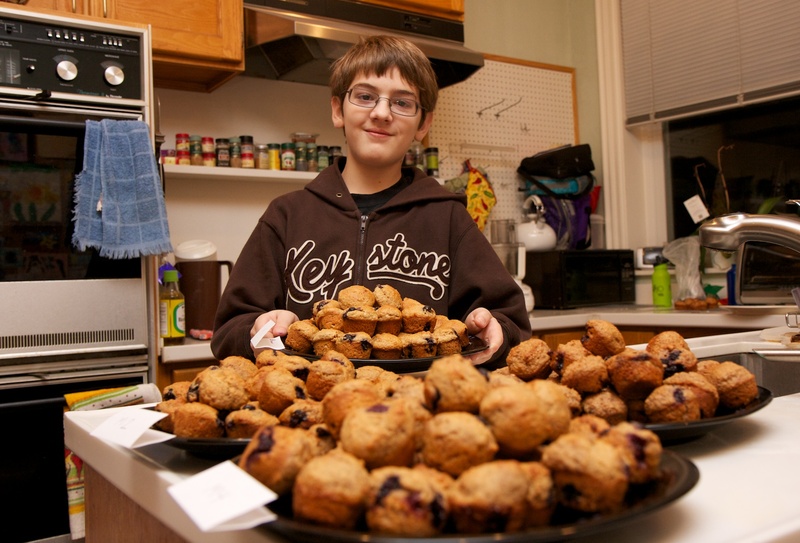 Baking whole grain bread is trickier than swapping out the white flour in cookies and muffins, because whole grain flour has less gluten than bread flower, and this affects how much the bread will rise. 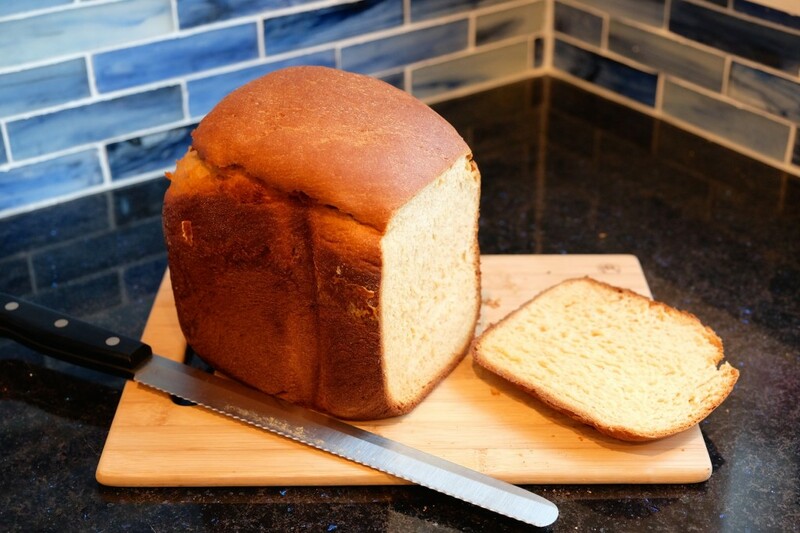 If you are not careful, breads made with whole grain flour can end up pretty dense. There also aren’t that many bread machine recipes that have been tested with white whole wheat flour, because white whole wheat flour was not widely available back when new bread machine cookbooks were actually being published. I’ve tried some of the whole wheat recipes in the cookbook that came with my bread machine. We’ve enjoyed the 100% Whole Wheat, Honey Walnut, Whole Wheat Yogurt, and Seven Grain bread recipes from that cookbook. I have followed those recipes as written, except for using white whole wheat flour instead of regular whole wheat, and flax seeds instead of sesame seeds in the yogurt bread. I’ve also tried the 100% whole wheat with honey instead of molasses for a sweeter bread. So far I’ve found that any whole wheat bread recipe can be made with white whole wheat flour and the results are excellent. 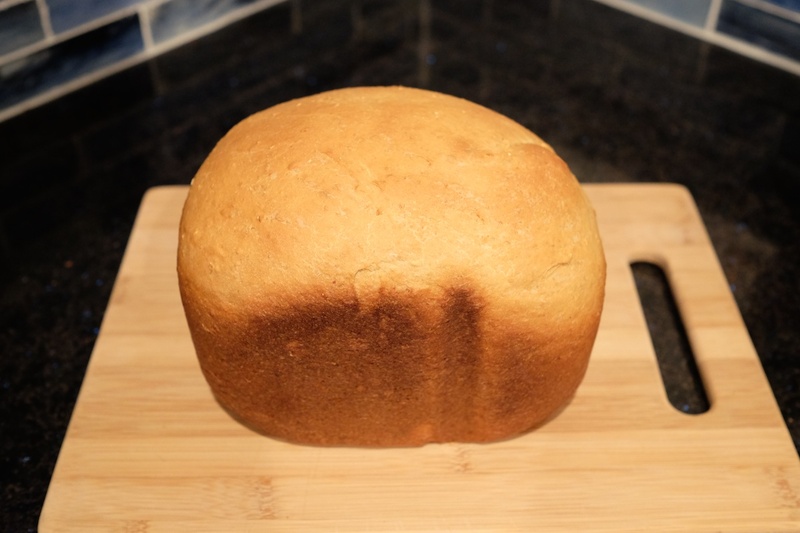 I’ve also found some bread machine recipes online, and adapted some bread-flour recipes from some other cookbooks to work with white whole wheat, reduce the amount of fat, and work with my bread machine. In general, bread flour recipes seem to work with white whole wheat if you add gluten or if the recipe includes dairy products (yogurt, cottage cheese, ricotta cheese, or milk). I’ve also successfully removed the butter and oil in a number or recipes and replaced it with apple sauce. 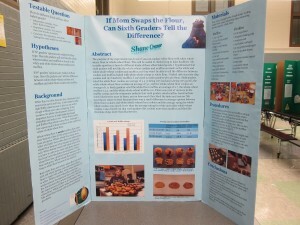 As I perfect these recipes, I will share them here. The first recipe I would like to share is a recipe for Whole Wheat Ricotta Bread that my family loves. Even when I bake the extra large size, it rarely lasts it more than 24 hours in my house. I baked this bread four times in the past couple of weeks to tweak the amount of liquid and experiment with two different kinds of ricotta cheese. Each time it disappeared very fast. The key to this bread is the ricotta cheese, which makes this bread moist, slightly sweet, and very rich tasting. Use part-skim or low fat ricotta to cut the calories and fat considerably. In my experiments, I found that the part-skim ricotta I used causes the bread to rise a bit more than the low-fat ricotta (that contained less fat). But it is good either way. I haven’t been able to find fat-free ricotta at any of the stores I shop at. I’m guessing that will work well too, but might result in a little bit of a denser loaf. I also made this bread with non-fat greek yogurt instead of ricotta. This was also a lovely bread, but it was not as moist, and did not have the richness or flavor of ricotta bread. You can download my recipe for Whole Wheat Ricotta Bread here.